Portuguese MEP Francisco Assis of the Socialists and Democrats published the following Parliamentary Question, dated 26 November 2015 and addressed to the High Representative of the European Union. On 17 November 2015 the Palestinian poet and artist Ashraf Fayadh was sentenced to death by a court in Saudi Arabia for the ‘crime’ of apostasy, that is, of renouncing Islam. He is accused of promoting atheism and spreading blasphemous ideas among young people through his poetry, a charge he denies. The 35-year-old poet was denied access to a lawyer throughout his detention and trial, in clear violation of international and national law. It is intolerable that in an age of free thinking and of global circulation of ideas and knowledge, human beings are still sentenced to death for freedom of faith. In 2015 at least 150 persons were executed in Saudi Arabia, half of them for ‘offences’ such as apostasy, adultery and witchcraft. It is time for the EU to outrightly and unequivocally condemn Saudi Arabia’s dark record of human rights violations. 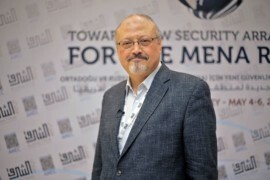 Bearing in mind the EU’s commitment to human rights in its foreign policy and the EU’s strong opposition to capital punishment, what action does the VP/HR plan to take in order to put pressure on the Saudi authorities to quash this arbitrary and shocking death sentence and to drop all charges of apostasy against Ashraf Fayadh?